Glide the pencil from the inner corner across your eyelid. Draw a diagonal line reaching upward to the end of your eyebrow. Use a cotton bud and makeup remover to correct any mistakes. Draw a thick line across your eyelid. Smudge the edges using your finger. Avoid making the color sheer and less intense. Press desired pigment onto the blackened lid and diffuse the color into the contour of the eye. Glide the liner along the lower lid and blend the color using your fingertip. 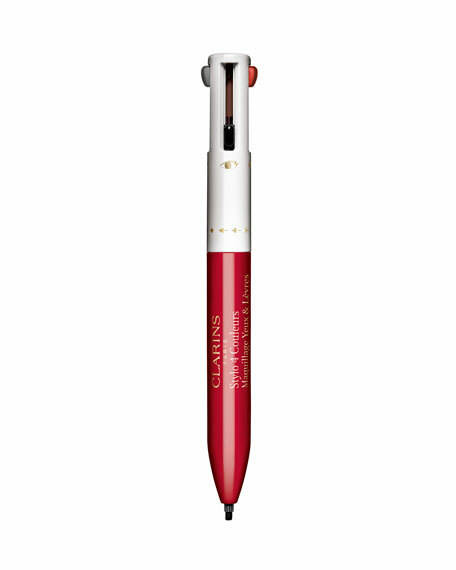 Glide the pencil along the lower lash line. Squint eyes together to transfer the liner to top lash line. Repeat until desired level of definition is achieved. Use your finger to smudge the liner along the bottom lash line.